It’s all about gut health, seriously! Do you wonder if you will ever feel better? Are you frustrated because you’re not finding the answers you need from conventional doctors? Do you wonder sometimes if it really is all in your head? Don’t worry, you are not alone. Millions suffer from a variety of symptoms every day…just like you! There is hope, you can feel better and get your life back! What in the heck is the microbiome? 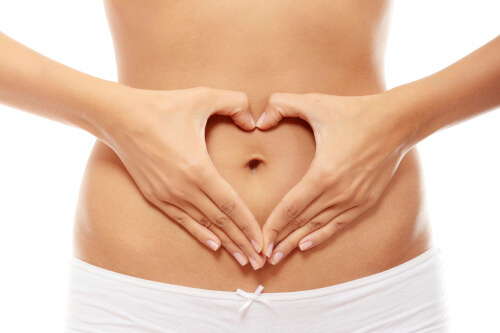 A properly functioning digestive system is critical when it comes to good health. First, lets talk about the microbiome. This is a complex ecosystem of bacteria located within our bodies. It can be defined or referred to as a “community of microbes”. What makes this interesting is that a vast majority of the microbiome lives in our digestive system. Because of this some researchers suggest that 90% of all diseases can consequently be traced back some way to the gut and the health of the microbiome. There is plenty of evidence suggesting that nutrition plays a large part in establishing gut health as well as support for your microbiome’s good bacteria. The ecosystem of the bacteria located in our gut is crucial for boosting immunity. That brings me to another topic, your immune system. Did you know that similarly approximately 70-80% of our immune system resides in our gut? Your immune system acts as the frontline army, fighting off exposure to unwanted invaders. So, that tells us something right? If we have a weakened immune system we are therefore more prone to chronic health issues. 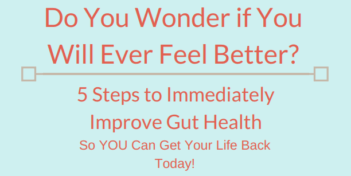 Poor gut health doesn’t mean you just get a stomach ache, it is so much more in-depth than that. Because poor gut health can cause systemic issues, it can be the root cause for not only a variety of digestive issues such as ulcerative colitis/crohn’s disease, gas/bloating, diarrhea/constipation and acid reflux/GERD, but also chronic health issues such as autoimmune disorders, chronic fatigue, eczema, fibromyalgia, hashimoto’s thyroid, anxiety, depression and much more. Are you asking “where do I go from here?” Please do not lose hope, you can feel better and you can get your life back. Have you heard of the 5-R protocol? If not, keep reading. Are you are ready to stop letting your health issues and symptoms control your life? Are you ready to take back your life and start living again? If you are looking for a different approach, a more functional approach where you address the root cause of your health issues rather than just treating the symptoms with medication then the 5-R protocol is for you. Remember, you may start feeling good as soon as you start to remove toxins from your diet but remember moving through each “R” is important for improving the health of your microbiome and immune system. To complete each stage of the 5-R protocol can take up to a few months. For that reason, don’t give up, don’t throw in the towel. Keep moving forward on your gut health journey, you will feel better and you will finally get your life back! Lastly, I’m sharing more detailed information on the 5-R protocol. 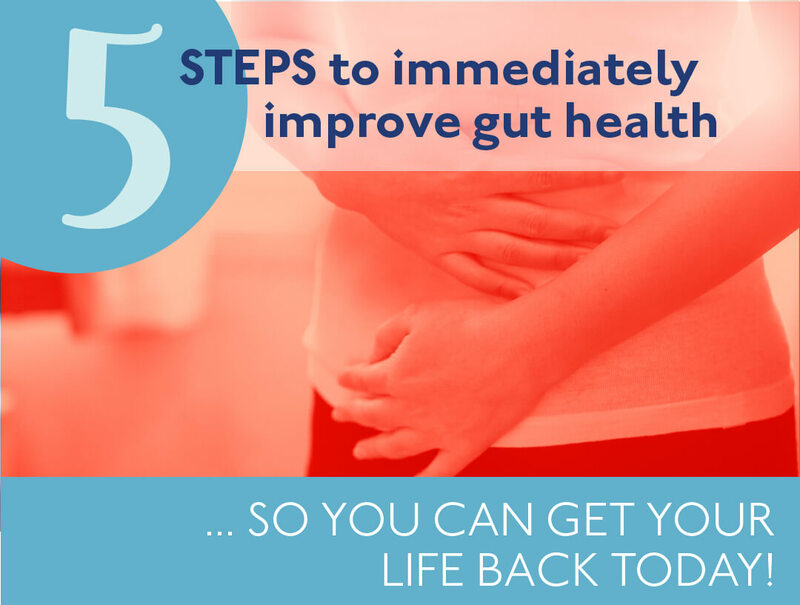 Grab your FREE handout today and follow the 5-Steps To Immediately Improve Gut Health! Once you have downloaded your FREE handout if you still have questions, don’t hesitate to reach out for a free 20 minute consultation or fill out the contact form on my website so we can connect. Grab Your FREE Handout Below! Next PostNext Chronic Inflammation, how toxic is it to your body?